Highly polished zinc plating on the cartridge case gives Silver Bear the name! Non-reloadable, non-corrosive, current production, HP Bullets. 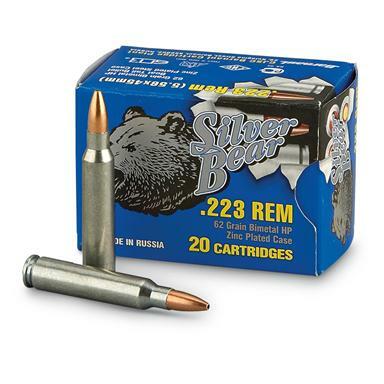 Silver Bear, .223 Remington, HP, 62 Grain, 240 Rounds is rated 4.7 out of 5 by 26. Rated 5 out of 5 by Tom 63 from good price, good product It shoots well, reasonable accuracy, and 25% less than brass cased ammo. Rated 4 out of 5 by Jake from Functions well Works will to solve coyote problem. Keeps the predators away from farm animals. 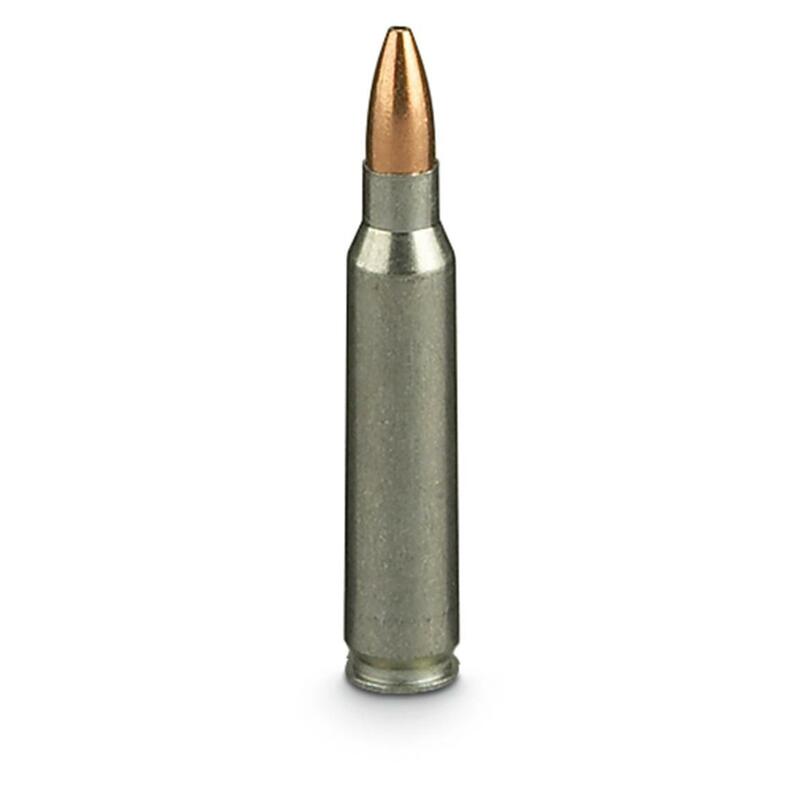 Rated 5 out of 5 by AVTravler from Great Ammo, Great Buy I find this ammo to be great. I shoots well, and is also clean. You certainly cannot beat the price which Sportsman's Guide has on it. Rated 5 out of 5 by dcarrington from good ammo shoots good and feeds good, what more can you ask for at this price. Rated 5 out of 5 by BOP64 from Preferred ammo for large wild hogs. I have killed several wild pigs with this ammo. Drops them in their tracks if hit in a vital area. Rated 5 out of 5 by BillG from great ammo, excellent price I have shot over 1000 rounds and have no problems. Clean and accurate. I will buy more! Ideal for small game…or the occasional varmint.